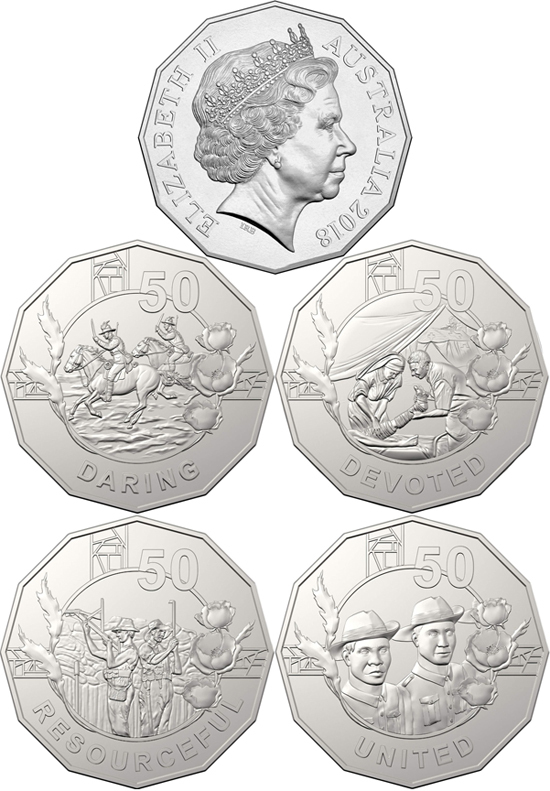 Australia issued the last edition of commemorative coins commemorating the ANZAC. 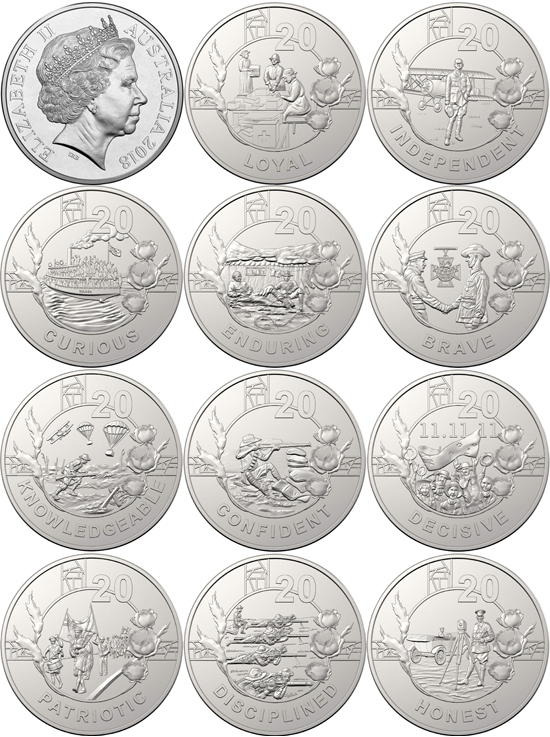 There are four different 50 cents and eleven different 20 cents coins. They were issued daily in the News Corp newspapers.